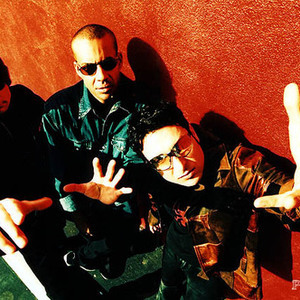 There is more than one artist with this name: 1) Planet X are an American progressive fusion band that evolved in the USA from Derek Sherinian and Virgil Donati's collaboration on Sherinian's 1999 solo album Planet X. Sherinian (keyboards) and Donati (drums) have remained the group's core members. Tony MacAlpine was featured on the first two studio albums, then left the band. Brett Garsed and Allan Holdsworth are featured on the latest Planet X album as guest musicians. Tony MacAlpine has since returned to the band, as of the 23rd of April, 2009. 1) Planet X are an American progressive fusion band that evolved in the USA from Derek Sherinian and Virgil Donati's collaboration on Sherinian's 1999 solo album Planet X.
Sherinian (keyboards) and Donati (drums) have remained the group's core members. Tony MacAlpine was featured on the first two studio albums, then left the band. Brett Garsed and Allan Holdsworth are featured on the latest Planet X album as guest musicians. Tony MacAlpine has since returned to the band, as of the 23rd of April, 2009. The bass duties have been handled by various players live and in the studio, but they finally officialized Rufus Philpot as an official band member. To date they have released three studio albums and one live album. 2000's Universe and Moonbabies (2002) are completed by Live From Oz, also released in 2002. May 2007 saw the release of their latest studio album Quantum. 2) Planet X are a group that released their self-titled debut in 2000 on The Orchard record label.